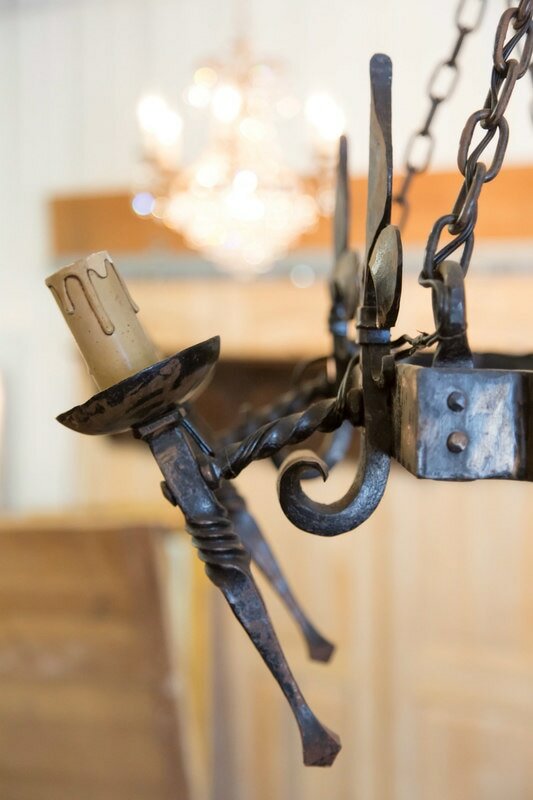 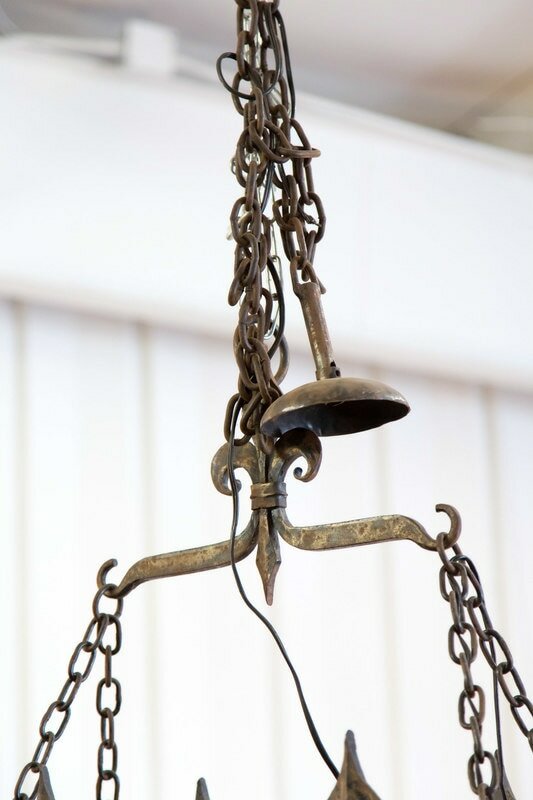 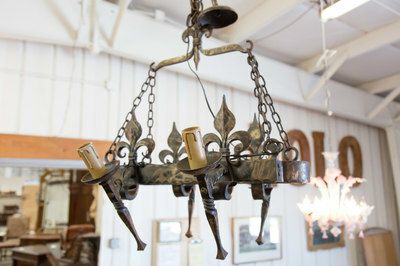 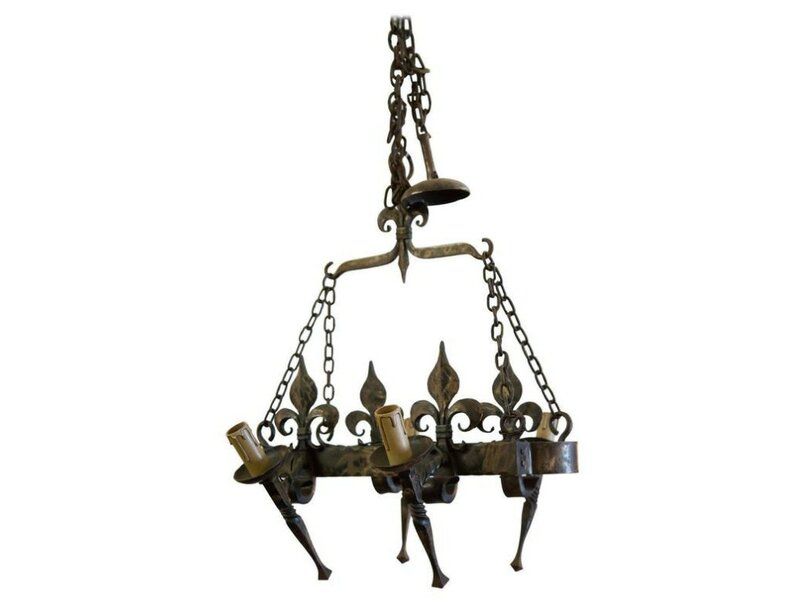 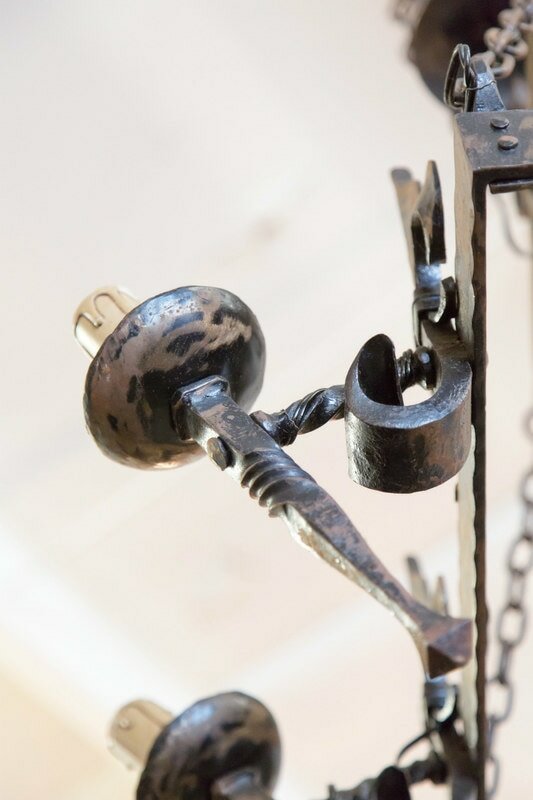 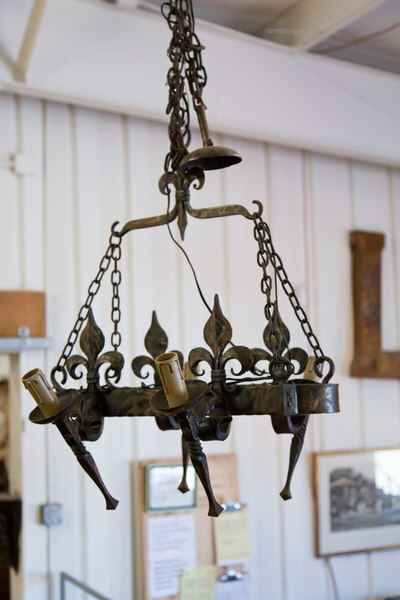 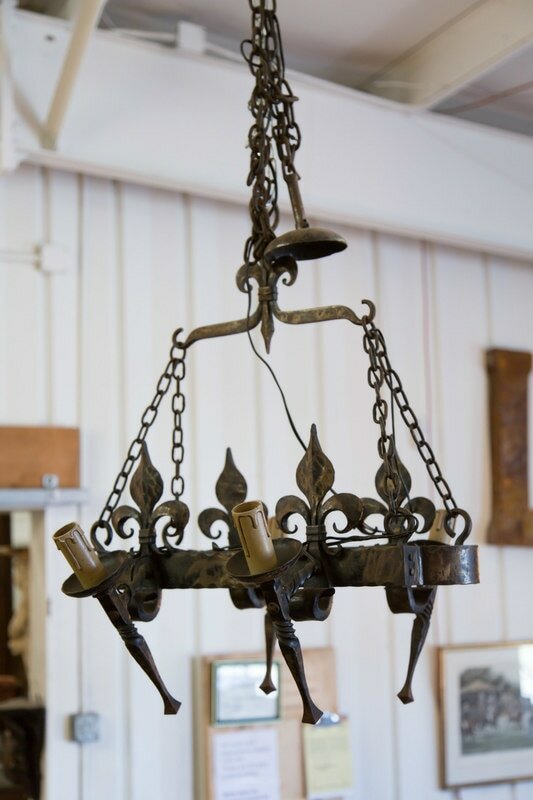 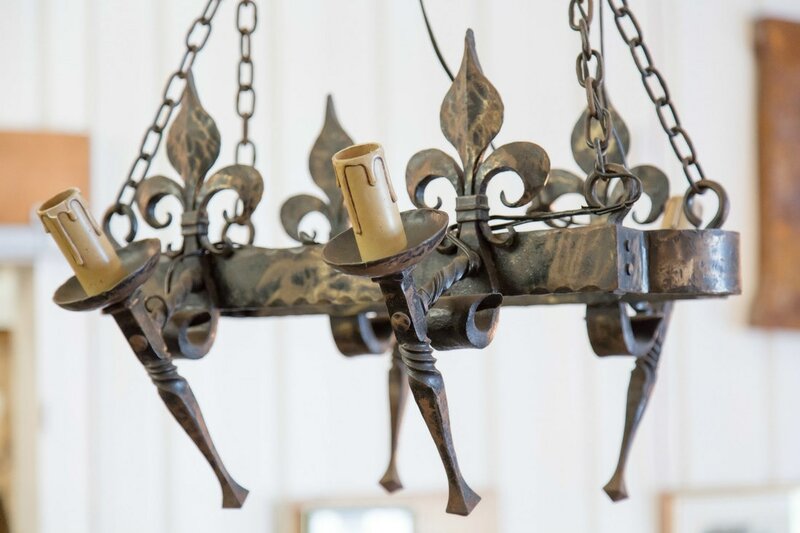 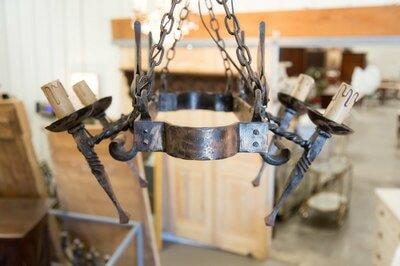 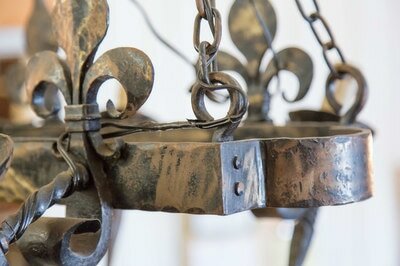 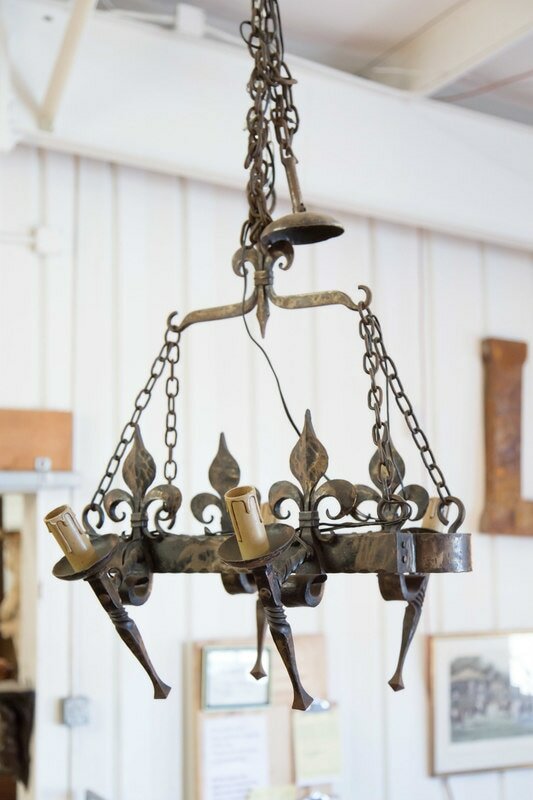 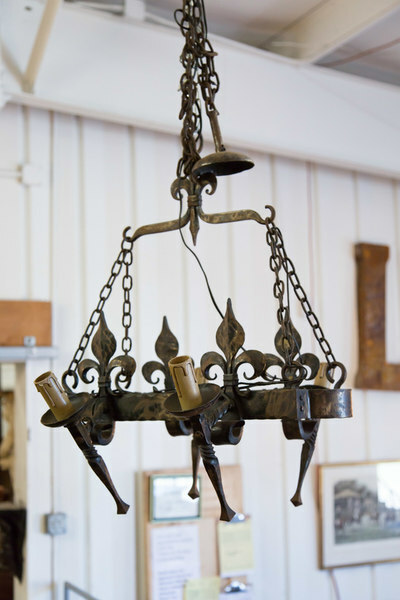 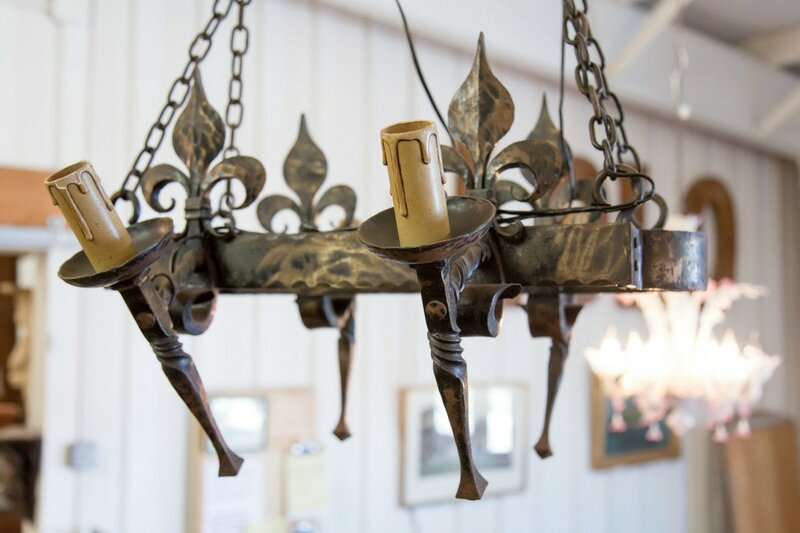 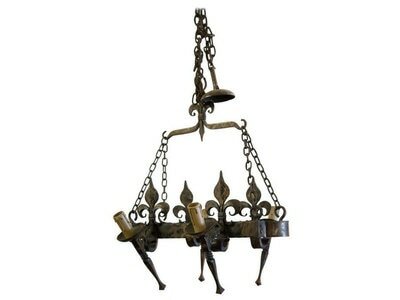 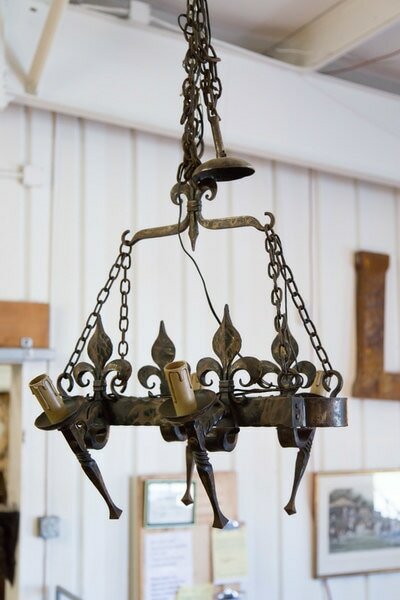 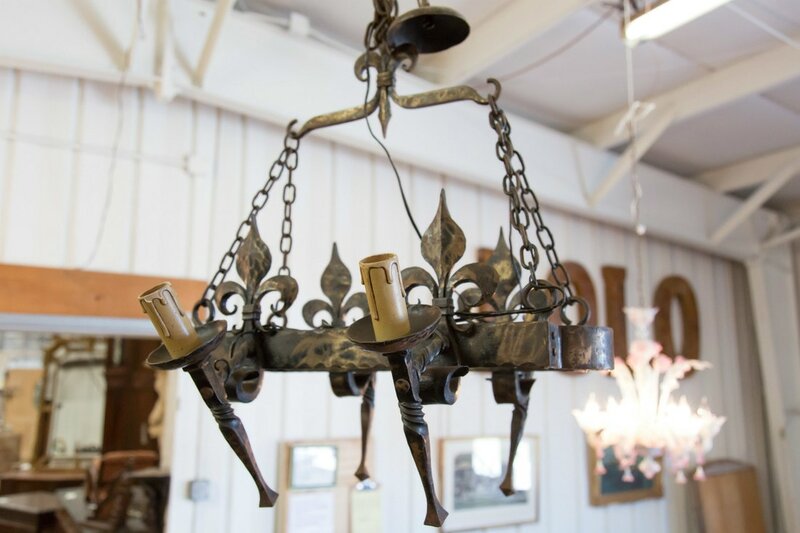 Hand-forged iron four-light Country French chandelier with wonderful patina. 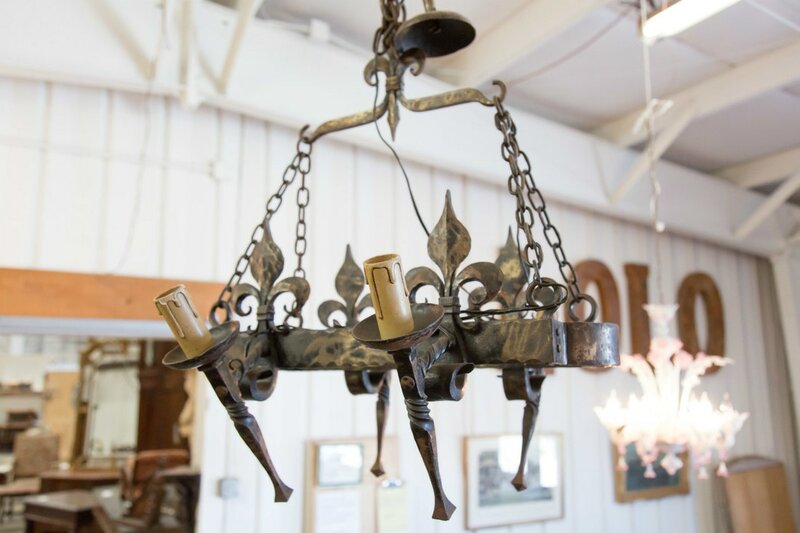 This oval chandelier with fleur de lis details and four torchere style mounts holding wax candle sleeves will add rustic charm to any space. 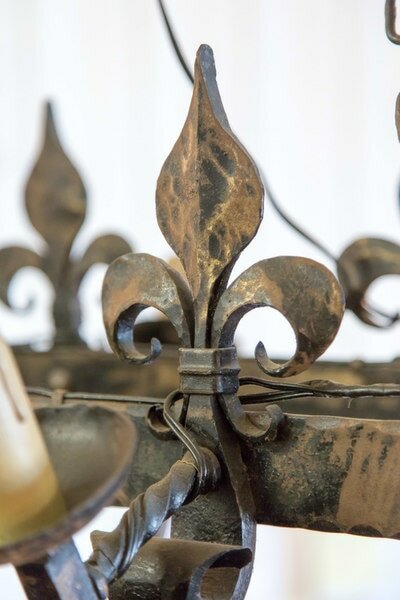 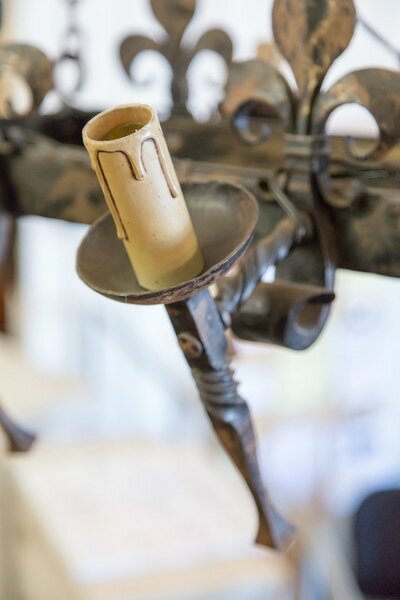 The four lights are joined in pairs to fleur de lis decorations forged to a central hoop. Needs U.S. wiring. 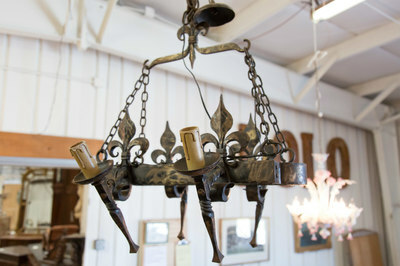 Matching pair of sconces available also.